One of the most bothersome problems faced by users using Microsoft Outlook sends and receive an issue. This issue generally generates error code 0x800ccc0f in Outlook 2016 saying ” This receiving reported an error (0x800ccc0f) the connection to the server was interrupted denotes that there is some kind of halt is established with the server connection”. Apart from having a very common error of outlook though outlook does not have a simple fix of Outlook error 0x800ccc0f or send and receive problem. Here we are going to discuss on the solution of Outlook 2016 error message with its fix and causes. Check if your antivirus is enabled, which might disallow your messages to be downloaded from the POP server. The settings for the Outlook profile and the server must be wrong or incorrect.The offline database file of MS Outlook is corrupted or damaged due to one or another reason. Till now, you are very much aware with the causes that are behind triggering such interruption and gives your popup message as error code 0x800ccc0f in Outlook 2016. You can try a few handy solutions, which are discussed to troubleshoot it. Execute each measure one-by-one and after which try to send or receive messages. If the problem gets rectified no need go with further approaches. At the start, check all data connection or Wifi connection on your PC that must be established perfectly. Open a web browser and open any website on it. Right-click on the internet connection. From the listed menu, click Properties. Click on Security and then disable the Firewall. 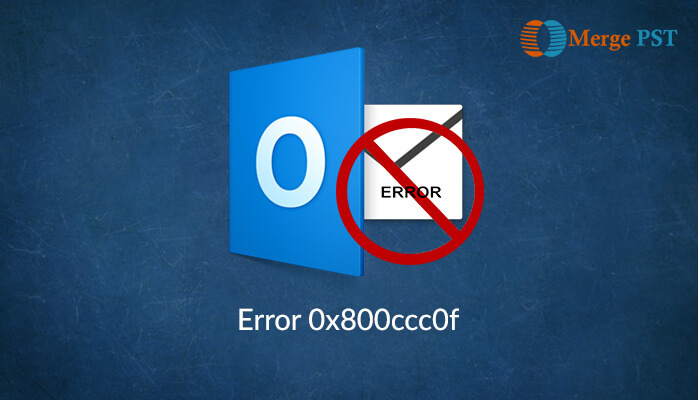 A wrongly filled Outlook profile may also lead to MS Outlook Error 0x800ccc0f. So it is always better option to keep a track of your default profile settings. For this you can check whether your Outlook profile settings are correct. If they are incorrect then correct it. If you are unknown with the default profile settings. Then you are advised to create a new profile. And set the newly created profile as Outlook’s default profile. It might be possible that the presence of suspicious email with harmful attachments that may lead to the error. If you find any suspicious emails in any email folder of Outlook then, permanently delete them without wasting any time. If the error is yet not resolved after implementing the above measures then, try to fix Outlook error 0x800ccc0f by starting Outlook in safe mode. This facility of Outlook allow you to disable all the third party add-ins that may a cause for such errors in Outlook. After coming to this workaround, it becomes 100% clear that receiving’ reported error (0x800ccc0f) ‘the connection to the server was interrupted is caused due to corruption in PST file. So, if the corruption is in the header part only then, users need to utilize scanost.exe utility. To resolve the minor corruption, Microsoft Outlook has an in build repair tool namely ScanOST.exe or ScanPST.exe. Locate files in your system and try to repair Outlook files. This a great tool to resolve minor corruption. of you. Check the checkbox of ‘Make backup….’ and click on the Repair button. All the possible workarounds are mentioned on this blog to fix error Code 0x800ccc0f in Outlook 2016. However, if still, the error continues then, the only solution left is to use Outlook Repair software. The tool is highly recommended when cause of the error message are due to the severe corruption in Outlook storage file. And using third-party programs which can deal with every kind of error faced by Outlook such as error 0x800ccc0f in Outlook 2016, 2013, 2010, 2007.